1 A municipal official looks through the window of a residential block, which was damaged by shelling, according to locals, in Donetsk, Ukraine. 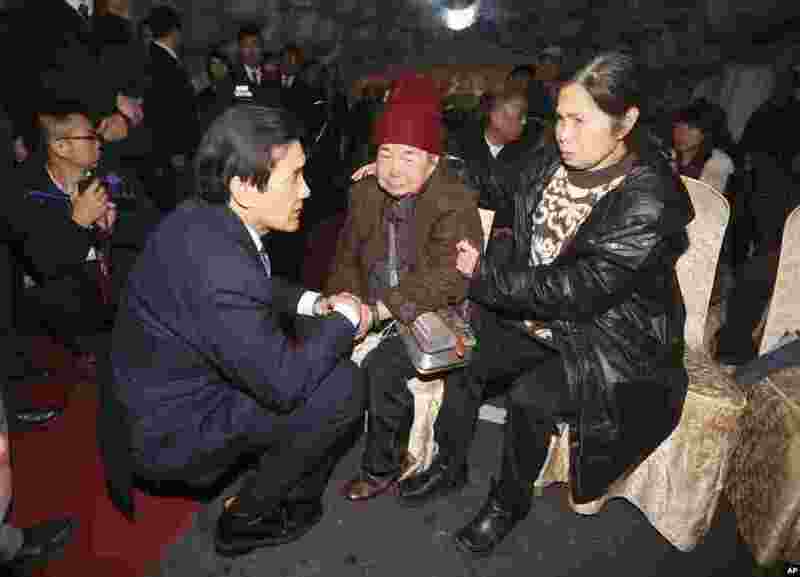 2 Taiwan's President Ma Ying-jeou, left, meets with relatives of those aboard TransAsia Airways Flight 235 at a funeral home in Taipei. 3 Baggage is placed near the wreckage of TransAsia Airways plane Flight GE235 after it crashed into the river shortly after taking off, in New Taipei City, Taiwan. 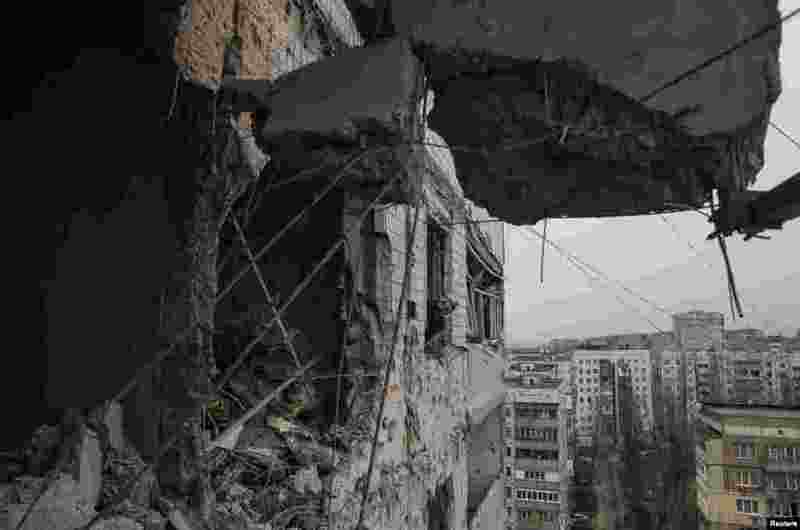 The death toll has risen to 31, officials said. 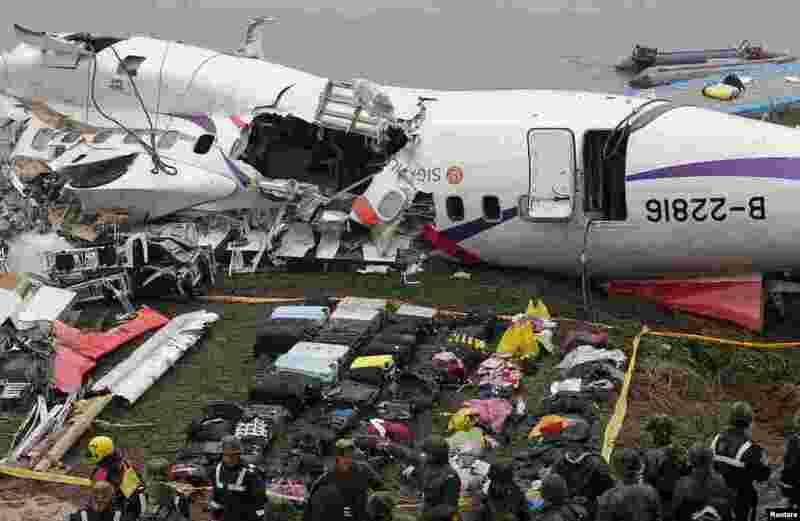 Baggage is placed near the wreckage of TransAsia Airways plane Flight GE235 after it crashed into a river, shortly after taking off, in New Taipei City, Taiwan. The death toll has risen to 31, officials said. 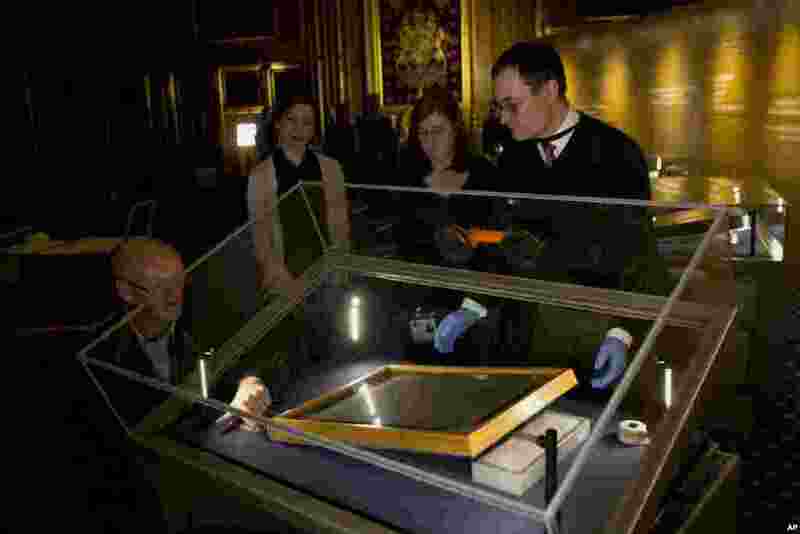 4 The Salisbury Cathedral 1215 copy of the Magna Carta is installed in a cabinet by Chris Woods, right, the director of the National Conservation Service in the Queen's Robing Room at the Houses of Parliament in London. It will be displayed alongside the other three surviving original parchment engrossments of the Magna Carta to mark the 800th anniversary of the sealing of Magna Carta at Runnymede in 1215, . The Magna Carta established the timeless principle that no individual, even a monarch, is above the law.